"I wanted to show that football is football and not a battlefield." These are the words of judge Karin Jung, who gave two 1860 Munich fans the choice to buy Bayern merchandise for a fan they attacked - or spend 15 months in jail. 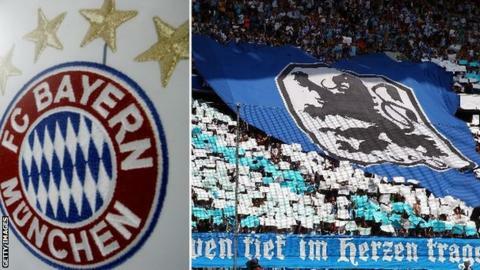 The defendants, who refused to name a third person involved when they ripped the jacket, shirt and straw hat off the Bayern fan last year, opted for the pride-swallowing trip to the rival club store. "I thought about what would be really painful to them, and doing something like this really bothers this type of people," Jung - who got the victim's consent for the quirky sentence - told Bild newspaper. This was no cheap shopping trip though as according to their lawyer, the accused parted with around £350 each in compensation as well as handing over a Bayern hat, scarf and jersey in court.